﻿ "Attracting the Best Talent is the Most Important Facet We Need to Address: Raghav Podar"
"Attracting the Best Talent is the Most Important Facet We Need to Address: Raghav Podar"
"Teacher training is important but even more important is attracting the best talent of the country into teaching", says Raghav Podar. Debate about the purposes of education never seems to end. Should young people become educated to get prepared to enter the workforce, or should the purpose of education be focused more on social, academic, cultural and intellectual development so that students can grow up to be engaged citizens? One can no longer be satisfied with one’s academic achievements alone as they are fast becoming redundant in a digital economy. 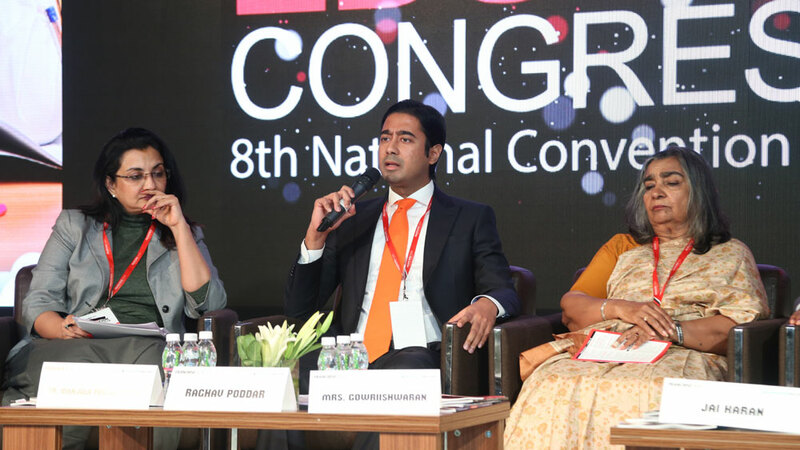 Raghav Podar, Chairman, Podar World School, speaks to educationbiz on bringing talented people into teaching and the changes needed in the school curriculum. He also shares the followed by the school to give a rich learning experience to students. “The content of national level curricula in India is good. However, what we need is more of an application based thinking, rather than the current regurgitating of rote learning”, said Raghav Podar. We have information available at our fingertips through Google. The world economy in the 21st century will reward you on how effectively you can apply the knowledge you have and not how much you know. What we need to develop is the thought process of how to critically analyse a problem and then solve it. The thought process of critical analysis and then solving the problem is more important than just the final answer. Culture is the manifestation of your ethos and values in the everyday running of your school. The culture eats strategy for breakfast. If you have a good strategy but the school’s culture is not good, that strategy is useless. Build a Conducive culture, learning will happen. Children will blossom themselves. You have to focus on culture rather than the fancy buzzwords without having real substance to them. “This, to me, is by far the most important facet we need to address”, said the Chairman, Podar World School.